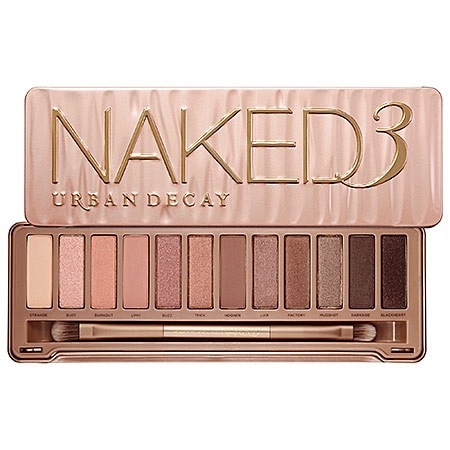 Urban Decay has released its latest shadow palette, Naked3! This mirrored compact packed with 12 rose-hued neutrals, a double-ended shadow/blending brush and an Eyeshadow Primer Potion sampler in 4 formulas (about a week’s worth for each sample) is available now at Sephora stores for $62 CND. Eyeshadows from left to right: Strange, Dust, Burnout, Limit, Buzz, Trick, Nooner, Liar, Factory, Mugshot, Darkside and Blackheart.